I’ve read writings by Ahn Sahng-Hong, and in what I’ve read he never once claimed to be God. He never even hinted at it. Why does the WMSCOG teach then that Ahn Sahng-Hong was the second coming of Jesus Christ, when he never even claimed to be Jesus Christ? Did I miss something? I find this to be an interesting contradiction. Please produce where Ahn Sahng-Hong claimed to be God in any of his writings. When did Jesus Christ ever claim to be God? He simply quoted verses that proved his prophesy being true. Only those who have an ear can hear, and those w/eyes can see. John 5:39-40 Jesus says, “You study the Scriptures diligently because you think that in them you have eternal life. These are the very Scriptures that testify about me, yet you refuse to come to me to have life”. Annonomous, Jesus clearly says that He and the Father are one and that you can go to Him to have life. 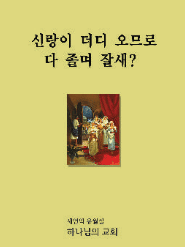 Did Ahnsahnghong ever claim to be one with the Father or Jesus Christ? Did he ever claim that people could go to him to have life? If so, please provide evidence from his own writings. Thank you and may God bless you. Thank you Admin for this response. Very well said and so true! Thank you Katie. I hope it was helpful. Ahnsahnghong was born on December 1, 1918. He turned 30 on December 1, 1948 and died on February 25, 1985. So he only “preached” for 36 years and roughly 10 months. 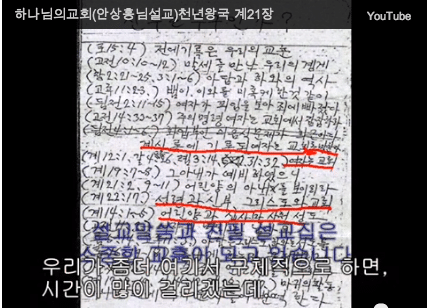 So even if his “prophecy” was correct, and it isn’t for many other reasons, Ahnsahnghong did not fulfill it. He died almost a year too early. ZhangGilJah is estimated to have been born in the early 1940s. I am trying to help a friend leave this group. I have tried telling her that ASH never claimed to be God but she insists she has books in which she will show that he did claim it. No clue what she is going to come up with. Any ideas? I have also told her that he has written the book, “Problems with the New Jerusalem….” and she says there is no such book but just fake messages on the internet. I have found one of their blogs that defends why the book was written because she may accept something from a supporting website. Let us hope and pray this works meanwhile any ideas would be welcome. I may get a chance to meet her around Nov 4th to see her books. It does not matter how many verses you show her or evidence she will not believe you or anyone because her mind set is that the “devil” could use anyone to “deceive” her and make her leave “the truth.” I know is scary to think that she might stay there forever. However, In my personal experience what made me go back to reality was that how come they do not guarantee anything. If you have certain preaching time and give your tithes and offerings and participate in the committees and in “Zion” ‘s activities and always go on preaching missions you might go to heaven and at the end of the day no one “knows who really goes to heaven but mother” and that we should accumulate as many good deeds as we can and it does not matter how many good deeds you have recorded still it does not guarantee you going to heaven. That did not make sense to me. I know that there is nothing we could do to re pay God for all that God have done for us but that part was insane. They make you try to repay God in all the ways possible and you forget that there is nothing you could do to repay God all that God has done for us and continue to do. Because of this experience I have not be able to enter a church again or even pray to God because I feel so much shame in front of God to even have try to re pay God for all the infinite and amazing things that God has done for me specially taking me out of that place and bringing me back with my family. There are many statements in the Bible that says that we are not saved by our “good works” whatever it may be…but we are given salvation only by having faith in Jesus Christ, who died on the cross to save us. I really hate it when they twist the bible’s teachings for their own gain. This clearly states that THERE IS NO SECOND JESUS BUT ONLY A SECOND COMING OF JESUS. That same Jesus, who died on the cross for us. DID ANSANGHONG CAME HERE THE SAME WAY HE ASCENDED INTO HEAVEN? NO. He was born on earth just like any normal people. DID ANSANGHONG DIED FOR US ON THE CROSS LIKE JESUS? NO. He died like any normal people. ANSANGHONG is a dead person who doesn’t even know he is being worshiped like a god here on earth. Come and find the answer to this erroneous accusation!! Ha Ha Ha, am I the only one commenting in 2015 besides a few others I have seen. Wow what a huge following is your God sleeping it looks like your followers are also. 1 Kings 18:27-. Look at them all flock here for the truth. Looks like satan even got board and went back to the catholics. I’ve tried to comment on several of the WMSCOG websites. My comments are ALWAYS disregarded! Fortunately for you this website accepts challenges to the truth. The so called “truth” that the WMSCOG propagates does not and will not stand up to scrutiny. Have you ever thought about why that is? Better question would be; How much research did you do about these teachings and about the WMSCOG before you gave up your soul to it? By the way, God’s using us to reach out to you! He’s not dozing off like Zahng likes to do.